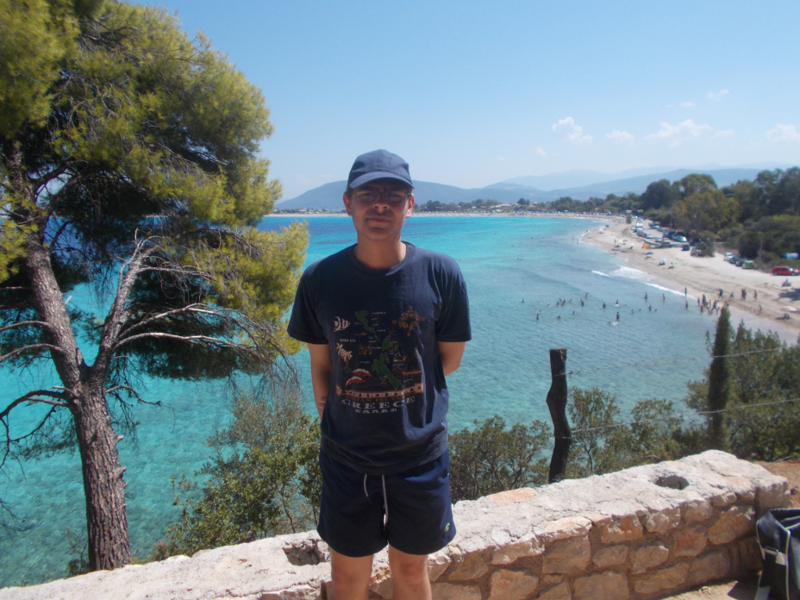 Today we drove round the edge of Lefkada’s main town to the beach of Agios Ioannis/Άγιος Ιωάννης. We had lunch in the little beach bar by the windmill, before returning to the beach for another swim. Just before 5 we got back in the car and headed in towards the town. There is a car park just on the outskirts of Lefkada meaning we didn’t have to drive in to the city centre. The car park is next to a lake and from the car we spotted two flamingos out in the middle of the lake! After walking around the town to find a bank, and having an ice cream and a drink in one of the many bars along the water front, we returned to the car and back to Lygia.